The NSW state’s construction industry is out of control. We need a NSW Commission of Inquiry. And we need Rowena Orr to run it. And we need it to be state based so that the politicians and bureaucrats can’t hide behind national inquires. A NSW Commission of Inquiry into the state’s construction industry is the only way to shore up declining public confidence in the built realm and the value of its real property. The Opal Tower project offers a lens through which most of the construction issues in NSW may be observed. There will be many fingers in this pie, but in the end the state of the local construction industry in NSW, is seen as a state matter. This week, the residents of 74 Opal apartments were told their homes were safe to re-occupy and any further support for not returning to the building was withdrawn. In the same news window, the residents were advised that 65 per cent of apartments would be ready to occupy by Wednesday 30 January. This suggests 140 will not be. This experience has parallels in many completed buildings. They just don’t get the same air time. The situation now calls for a NSW Commission of Inquiry into the state’s construction industry. This must be a wide-ranging deep-dive into an industry that is out of control. Such an inquiry cannot be headed by any conflicted party or interest – my call is Rowena Orr, who did an excellent exposure of the systemic failures of banking regulators and industry. Anything less would undermine this state’s credibility and the value of real property assets. NSW politicians and bureaucrats should not hide behind national enquires. The industry knows that harmonisation of national construction policy is all but impossible. NSW claims “first state” status in a dysfunctional sovereign-based system – it should therefore lead. This article ends by offering eight themes that a NSW Commission of Inquiry could address. The root causes behind the falling of construction standards and capabilities go back some way. Everyone will have an opinion. Some suggest the demise of the state’s technical and trade teaching platform, and the rise of a class of constructors who have more theoretical university-orientated qualifications instead of the applied capabilities a complex industry such as construction needs. Some will suggest that the rise of Design and Construct contracts has signalled a loss of control by “first specifiers” such as architects and engineers. Others point to the progressive dismantling of the state’s public procurement capabilities and technical resources that could represent the public interest. Others point to privatised certifiers. The role of public governance of construction needs the strongest light shone on it now. A commission of inquiry will likely expose hundreds if not thousands of property purchaser and renter experiences that show just how grim the accommodation of today’s construction industry’s shortcomings is. This not a universal situation, but it is deep and concerning. The state’s governance of the construction industry and the way it accepts some public assets sets the tone for a culture of papering over its cracks, posing as the best the public can expect given the circumstances. An example is a constant refrain from the state’s safety regulator that they are doing the best they can, given a shortage of skilled industry workers who don’t understand what a safe workplace should be. They claim pressure to downsize and political sway to reduce interference within a fragile industry that is just trying to deliver projects to meet demand. There is endless blame and accountability shifting between the states and the Commonwealth. State based enquiries such as Lamberts’ 150 recommendations get conveniently swept up into Commonwealth ones like Shergold-Weir’s 24 recommendations. At a state level the divides of State Significant Developments versus others also plays out. The partial completion and early occupancy of the Sydney Cricket Ground’s State Significant Bradman Noble Stand for the for the 2014 new year’s Test was always under pressure. The stand was opened, but without a fire safety certificate. Few would have imagined that thousands were illegally allowed to occupy this facility. Images were supplied directly to senior offices in the Premier’s Department at the time. They showed fire doors propped open and not working, and doors to the rear of food concessions chocked open that directly shared the emergency escape routes as the only access for food supplies, cooking and waste. Furthermore, poor construction quality was visible in numerous places. This led to a review and finally a conditional fire safety certificate for the one day match at the SCG a few weeks later. The conditions involved many non compliant arrangements being fixed, but most obvious was restrictions denying access to the upper levels and the heavy presence of fire and rescue crews and wardens on every door. There was acknowledgement that all of this happened, but there were no consequences. When referred to the state’s Building Professionals Board, responsibility for the role of building certifiers was flagged away, because this was a State Significant Project. Not their patch. When the Opal Apartments issues arose, the bureaucracy pointed their political masters to building certifiers. This seemed like a convenient but uninformed bandwagon to jump on. That of course has turned out not to be the primary issue here. But certifiers are not off the hook yet. Following weeks of review, structural engineers for the government, builders and owners’ corporation have determined that despite a significant number of design and construction issues the building will not collapse. Here, everyone needs to keep in mind that every party possibly risk exposed by Opal is now under the direction of their indemnity insurers. The full facts will only come out way down the track in the litigations that will surely follow. Everyone should understand that buildings only get built once a construction contract is signed. This is how design becomes a reality, and the beginning of real property occurs. A few have pointed to the design and construct building contract that was used for the tower. These contracts have some pretty fundamental obligations on the builder. This contract is between the developer Ecove and the builder Icon. Its likely that the construction contract is similar to AS-4300, and normally heavily amended by the developer’s lawyers to batten down the terms and conditions to minimise loopholes. This is standard industry practice. The relationship between the owners of the Opal Towers is between them and Ecove. The developer is responsible for Icon’s performance of the contract and obligations. Upon the date of practical completion, the contractor shall give possession of the site and the works to the client (developer). These processes and their certifications become the triggers for real property titles to be created – in this case the NSW Strata Titles Act. At this point the developer will communicate to purchasers that the works are complete and fit for purpose. The developer will call on the purchasers to make payment and settle their pre-purchased property. Financiers will require purchasers to have achieved a pre-conditioned deposit, a valuation and evidence that the property (in this instance the body corporate) has in place the required insurances. These actions go to underpinning the value and certainty ascribed to creating real property. Some purchasers who have not achieved the conditioned equity or deposit level preferred by a lender will be required to take out mortgage insurance to cover any future non-performance on their part. Loans with less than 15 per cent deposits may require mortgage insurance. An apartment costing $1.0 million will typically involve a $150,000 deposit and a loan of $850,000 (excluding stamp duty). A typical principal and interest loan for this amount over 25 years at current rates will cost $4250/month. This excludes body corporate outgoings. Investors who have acquired these apartments will depend on a mix of rental income and frequently, negative gearing, to off-set their own income tax to make this transaction work. When dwelling access is denied as has occurred at Opal, huge stresses are created for owners. And, especially, for the new body corporate. The state will claim it is doing its bit via the recent introduction of developer bonds to cover defects. Such cover really only works after all other efforts for rectification have failed. They are a last resort, just like Home Owner Warranty Insurance for ordinary home buyers. A lot of expense is involved. At the back of all of these real property assurance synthetics is the myriad of insurance covers that everyone who had a finger in the Opal apartments pie has taken out. These insurers will provide a wall of defences all represented by the best lawyers in town to first deny and then minimise their exposures. This is despite massive insurance premiums that today’s risk adverse construction industry demands before the first project blow is struck. This is an insurmountable task for any new body corporate to tackle. There is only one moral response that the NSW government can make here. Use this project as a test case. Appoint an Administrator to the Opal Body Corporate in this instance. Properly fund the most investigative and spirited representation of the owner’s rights and remedies. Then empower the administrator to openly make all material facts known to the Commission of Inquiry, the public and the industry. It is time to lay this cupboard bare and face the facts. It’s time for a roots and branches exposure of the construction industry’s condition. And let’s not overlook the precedent that is being created at the Opal apartments by the developer and builder. They are effectively stepping in and taking re-possession of real property. What does this do for a property in transaction or in possession of a financier? For a large number of apartments that possession will involve months of disruption. The costs to purchasers and renters will be extraordinary, with this compounded by the stress involved. There will be short or longer-term value loss here, as some properties are in effect un-merchantable, un-occupiable or un-rentable. Real property is under threat here. And what long-term provisions will the owners corporation need to make for its legal costs. It is hard to gloss over the prospect that the builder has made claims for work which may not have been performed in accordance with the contract. It flows that some properties sold by the developer to the purchasers are not what they were held out to be. Irrespective, the developer is faced with reassuming some properties for major repair. The developer has now to arrange to put the builder in possession of parts of the tower that will revert to a construction site. There will be more design and construction to be performed and certified. Even the most prudent engineer is unlikely to sign off on any fix being the end of the matter. It is possible that this development may require monitoring of its movements and the consequences of them for its entire lifecycle – well beyond the original defects period – even if the defects periods are extended as provided for under the contract to commence when rectification has occurred. But here is the twist for the Building Certifiers – just as happened at the SCG. They must now determine an interim works and occupancy plan. This situation cannot just be left with the builder who will be hurrying consultants and sub-contractors through the building to speed up the end of this nightmare. It will be untenable for fire stairs to be chocked open, for materials, equipment and rubbish to block the access ways. The building will need to develop a viable acoustics management plan to minimise noise during the repair process and to ensure that no new noise transfer dynamic has been introduced. And of course, it will be critical that a nominated responsible person under the NSW Occupational Health and Safety Act is clearly identified to ensure that the building is safe to occupy and work in. And finally, any interim fire safety management plan will progressively need to be extinguished with a refreshed certificate of compliance. How AS 4300 or variant standards cope with this will be instructive. A NSW commission of inquiry needs to look beyond the here and now. Many wicked issues will arise. The same old fixes will be unlikely to work. The Australian construction industry is yet to modernise. While it claims the application of some modern technologies, the reality is that the construction industry has its customs and practices defined by antiquated business models and professional silos. The new technologies are not working. The global construction industry is changing. The Commissioner should visit this year’s AEC-BE Summit in Europe in June. The Australian construction industry is self-facing. It needs to turn this around and become customer-facing – and NSW should lead the national industry. How can construction compliance be underpinned by new trust-based technologies that provide future customers with the assurance that new buildings should provide? How can the money wasted on fragmented and often worthless insurance products be better deployed to provide single point unavoidable assurances? How can today’s design and construction technologies be deployed to deliver a seamless integration of design, construction and maintenance for each building? What mechanisms could be established so that the better builders are rewarded with lower performance risk premiums while risky contractors pay more? How might new buildings be given individual compliance risk and sustainability ratings that sets one apart from the other, rather than having them all rated equally? How can digital technologies be deployed to create performance passports for building compliance certifiers and on-site safety officers that go with them? What future-ready governance practices should construction industry regulators deploy that will not be burdened by last century analogue system and practices? I left South Africa, a third world regressing country. I am now a permanent resident in Australia. I practised as a professional architect in South Africa for 30 years, designing and managing both high rise and single residential projects. My personal experience of the building industry in Queensland, is that the Regulation (QBCC), the Engineers, and the certification is terrible when compared to what is happening in South Africa. Maybe an independent investigative report comparing the construction industry in Australia vs South Africa would shame the authorities so much that they will take the correct action. Class action lawsuits should be the solution to protect the public, but at present class action funding companies are not interested as it would mostly qualify as “small claims” to them. That is why I am at present investigating the establishment of a non-profit class action funding company to fund “smaller” class action lawsuits in the building and construction industry. Most of the comments are commonsense. What happens if during the rectifications something goes wrong which impacts on the occupied apartments? 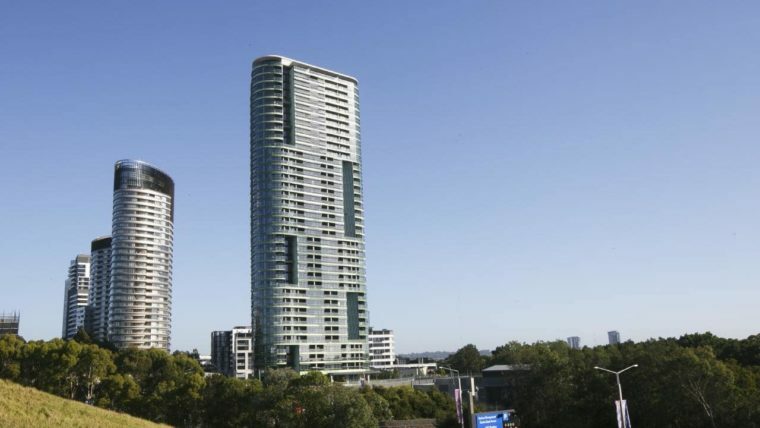 I would like to suggest that if the experts believe some of the Opal Buildings apartments are safe to live in while rectifications are being made, make these experts and their families live in the so called liveable apartments. Then we will see how confident these experts really are to make the building safer. If the experts won’t move in the why should paying residents. Thanks Phil for your accurate summation calling for a national Commission of Inquiry instead of state. And it must have coercive powers like a Royal Commission. David is right saying ‘harmonisation of national construction policy is all but impossible’, and ‘that the works when completed shall be fit for their stated purpose’. standard AS/NZS 4859.1 & 4859.2 (2018) continues with the 40 year claim in labeling that fibre insulations work equally in both winter and summer. In numerous building situations this is a false statement and ought be challenged under ACCC Trade Practices. Insulation performance cannot be harmonised across Australia, because the product R-value Z(of any insulation material) is not the same everywhere. To say otherwise is willfully misleading the public. The worst offender is R-values claimed for cooling ductwork in hot roof spaces, when intense radiation frequently cooks the chilled air – a great case for ACCC intervention, but they won’t do it. Nobody does anything because ‘The Game of Mates’ (its a famous Australian paperback 2017) protects the very companies who write the standards. It’s sick and plenty of other standards are written the same way. All building products are premised on ‘being fit for purpose’. 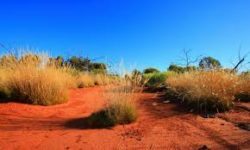 That means insulation materials ought be based on being climatically suitable for a range of hot-humid Australian locations. And that means conducting government funded independently chaired in-situ replication testing for 3-7 days instead of the ridiculous 4 hour laboratory testing at 23degC mean/average (ie roof spaces are 50-70deg). And never forget the world saw the rapacious abuse caused by unregulated uncontrolled claddings, with people incinerated in the UK. And now structural building defects are making some assets unsaleable with no value. Shine a light into all aspects of building industry. JobsonGrowth – developers go ‘geez – if you make it more difficult to put up new buildings, geez – there’ll be less growth in the economeeeeeee ! David Chandler has summed up the Opal Tower disaster very succinctly and his view on the overall industry has merit and the support of many as the the national industry itself is out of control as David puts it. The Builders Collective has for the past 17 years put forward the outcomes we see today on so many occasions in all jurisdictions but our views have been met with spin and tokenism and those that choose to feed off the industry protect their patch with a vengeance. While David speaks of a state based Commission of inquiry that would be helpful but a national Commission of inquiry is needed to restore some faith and integrity into such an important industry as the building industry that has been in decline for the past 17 years. To quote Davids words: “The role of public governance of construction needs the strongest light shone on it now”. Well presented David, thank you. In the early 1990’s the traditional Clerk of works building inspection process was lost to a system of self certification and certifier approvals .the certification process nas never looked at material suitability ,installation techniques and quality of construction.